Dr. Rupa Wong is a board certified eye surgeon with advanced training in aesthetic injection of fillers. 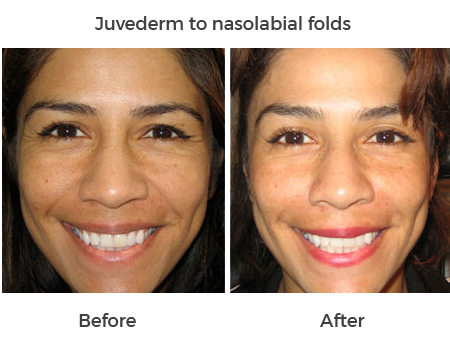 She is skilled in the injection of facial fillers (Juvederm, Restylane) in the tear trough, nasolabial folds, lips and malar areas, as well as Botox. She personally performs every injection herself. As a professional woman, she understands the importance of using balance and an artistic eye to create symmetry and beauty. Dr. Wong only performs surgeries on the eyes and face, concentrating her expertise and care to give her patients the best results. As an eye surgeon, Dr. Wong is comfortable injecting both filler and Botox around the sensitive areas surrounding the eyes. Her gentle, feminine touch and expertise have been lauded by her patients as pain-free. She works with every patient individually to customize an injection regimen that will create a natural, refreshed appearance which will look effortless and rejuvenated. We offer several outstanding product lines, and our team is trained in each line that we carry — which means that we can suggest products from several different brands to create your perfect skincare regimen. Dr. Rupa Wong also works with you to tailor an individualized treatment plan for your skin care regimen which will maintain and enhance your skin’s appearance. With a committed focus to a fresh and natural aesthetic, she strives to treat the entire face recommending the best skin care products in combination with injectables. Please refrain from the use of all aspirin and aspirin containing products for 7-10 days prior to treatments. Please refrain from the use of all non-steroidal anti-inflammatory drugs for 7-10 days prior to treatments. These medications include the following: Motrin, Advil, Aleve, Naprosyn, Ibuprofen, and Vicoprofen. Please discontinue the use of Vitamin E, Chinese herbs or plant extracts including ginko-biloba, mahuang, Kava-Kava root, St. John’s Wort, MSM, glucosamine, Sam-E, ginger, ginseng and garlic for 7-10 days prior to treatments. You may experience pain, tenderness, temporary redness, swelling, bruising, firmness, and bumps at the injection sites. Studies have shown that these are usually mild to moderate in nature and clear up on their own in 7 days or less. If you experience swelling at the injection site, you can apply an ice pack for a brief period. Be sure to report any redness and/or visible swelling that last for more than a few days (or any other symptoms that cause you concern) after receiving treatment to Dr. Rupa Wong. Avoid lying down for four to five hours following the treatment. Avoid massaging the treated area. Wrinkle the injected muscles a few times for the first hour.